Call Meg Hogan, HMCT, HMCM to get started 727-479-2731 STRESS LESS. BE MORE, DO MORE, LIVE MORE. HeartMath technology is an innovative approach to improving emotional wellbeing. 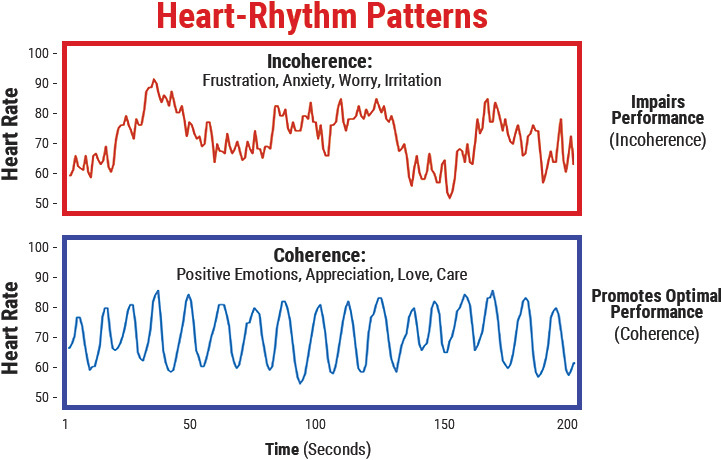 Learn to change your heart rhythm pattern to create physiological coherence - a scientifically measurable state characterized by increased order and harmony in our mind, emotions and body. HeartMath products, tools and techniques are based on over 25 years of scientific research conducted at the HeartMath Institute on the psychophysiology of stress, emotions, and the interactions between the heart and brain. There are over 300 published peer-reviewed or independent studies utilizing HeartMath techniques or technologies to achieve beneficial outcomes. The Inner Balance™ Bluetooth® sensor for Android and iPhone trains you to shift and replace emotional stress with emotional balance and coherence. InnerBalanceBTLE from HeartMath on Vimeo. ‘I spend a great deal of my work life with people who have experienced emotional and physical traumas. I always thought I was doing a GREAT job of de-stressing myself; that is until I experienced the HeartMath training and saw how irregular my heart rhythm was when I talked about general stress. I did a mini-study, recording my heart rhythm using the Inner Balance™ Bluetooth® Sensor in the moments after a session, after meetings, after racing from one thing to another on my schedule. I began practicing Heart-Focused Breathing™ and reliving positive feelings while breathing throughout the day, all the while tracking my heart rhythm. After only a few weeks, I am able to remain in coherence after, what were, stressful events. I am more aware of when I am moving out of coherence and will breathe and shift to a renewing feeling for three minutes to bring myself back into coherence. I’ve also found that events previously resulting in tension and stress are no longer affecting me. I am now using the techniques and technology with my clients, with some amazing results – increased awareness of how stress is affecting their bodies (the visual of their heart rhythm is priceless), and increased skills in de-stressing their bodies. Thanks Meg and HeartMath!